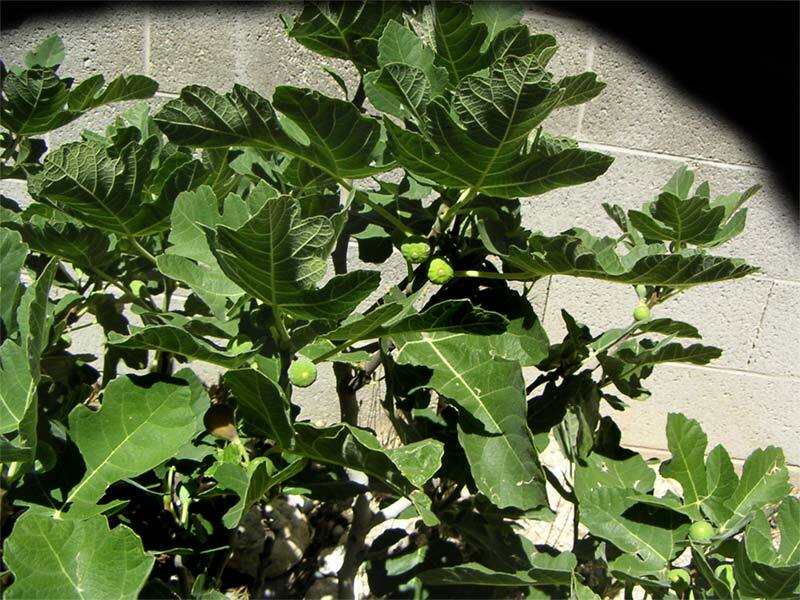 We have four fig trees now. I wrap chicken wire around them before winter and fill it with leaves to protect them from freezing. If they do freeze they just come back from the base. Early White Giant is the variety. It bears very large peaches. Behind Nicole, to her right is one of 3 bush cherries. This is the best of our 3 apple trees. It bares a very heavy crop every other year. I thin it severely and it still is loaded. 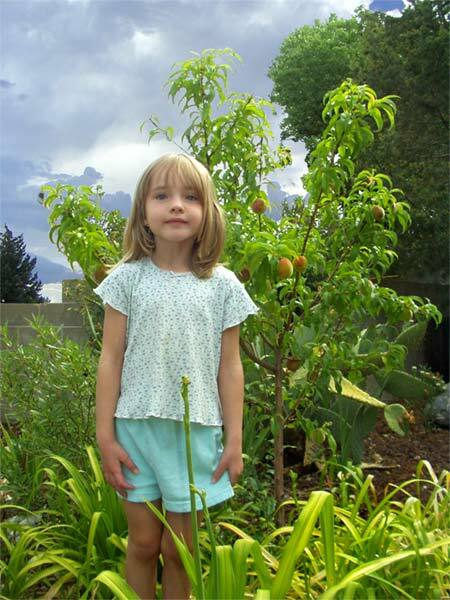 One of the apple trees was supposed the be a 5 in 1 (peach, apricot, nectarine, and plum) tree. I thought the leaves didn't look right and when it bore apples this year, we found out why. I suspect it has 5 varieties. That's a Manchurian Rose Apricot next to it. It produces the best apricots you have ever tasted. 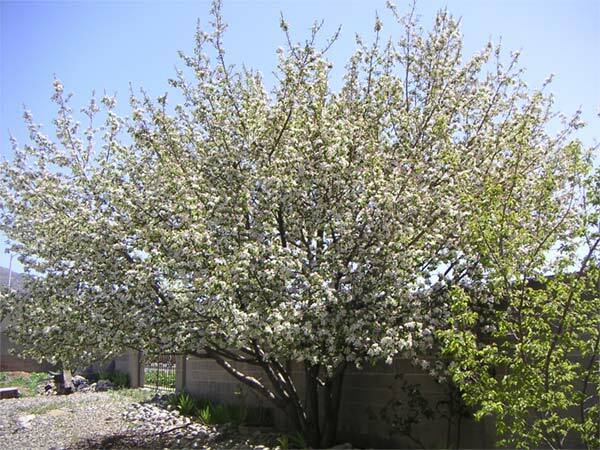 We also have a sweet cherry, pear, and walnut tree. I'd still like to put in a plum and filbert tree. 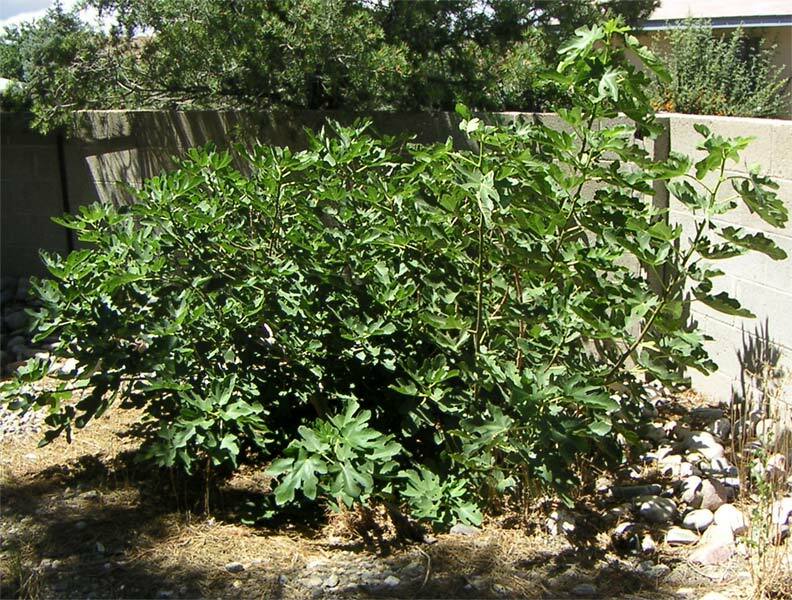 I planted a filbert tree, paw-paw tree, and persimmon tree in 2008. We lost he walnut tree.